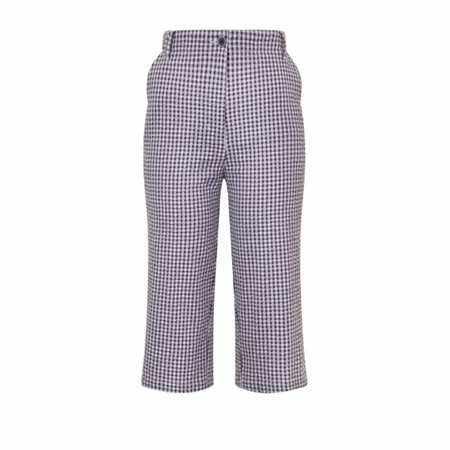 These cute little Capri trousers by Emreco have been woven into a gingham pattern in indigo and white. The cropped finish is a great look for Spring/Summer and these trousers have a half elasticated waistband making them extremely comfortable and wear. Partner them with a cute top from the Emreco SS/18 collection.